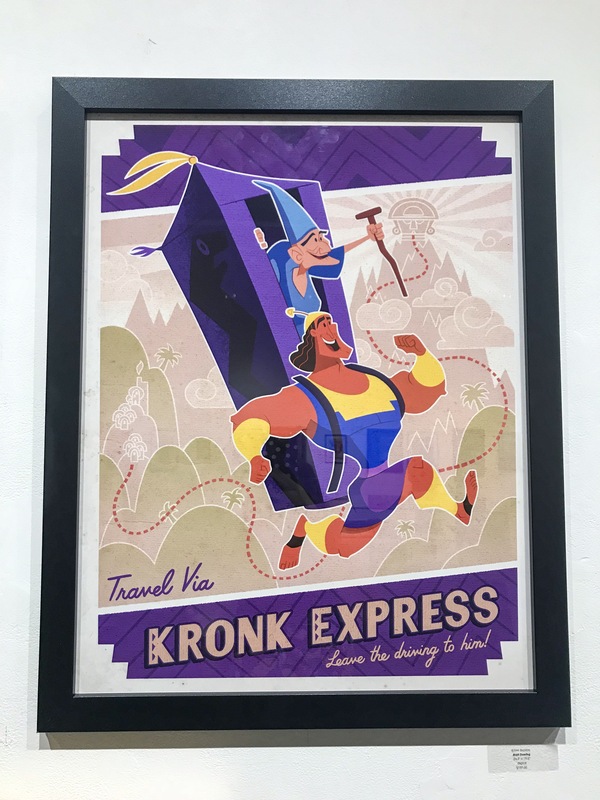 Dream Destinations at Gallery Nucleus - The Latest Disney Art Exhibit! One of my favorite art galleries to visit is Gallery Nucleus in Alhambra. When you walk in, there’s first a shop with many unique art prints for pretty much any pop culture fandom you can think of, as well as books for kids (mainly books illustrated by various animators), and other pop culture-related toys and goodies. When you walk further back into the space, you will find the gallery exhibition currently happening. Gallery Nucleus often partners up with Oh My Disney, Cyclops Prints, and Disney Fine Art to bring a Disney-themed exhibit. The last one was Pixar Incredibles theme…and the current one is Dream Destinations. The art gallery is free to visit, with Dream Destinations happening until August 18th. It’s open during Gallery Nucleus’ open hours. The art in the gallery is for sale, and you can also find some prints of select art pieces in the gift shop, online at Gallery Nucleus, as well as online at Cyclops Prints.